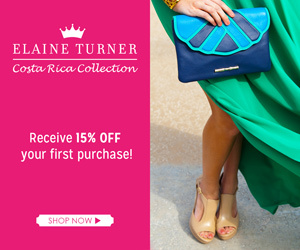 Living Colorfully: Tuesday Topics- Bring On The Sparkle! I love when I can't think of anything to post about and then remember there's a link up I have been meaning to join for a long time! 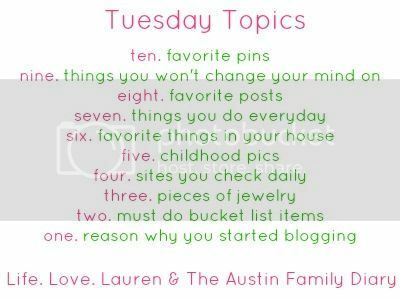 I'm finally joining Tiffany and Lauren's Tuesday Topics Link Up! This week is 3 pieces of jewelry. Second, a necklace I am dying to have! 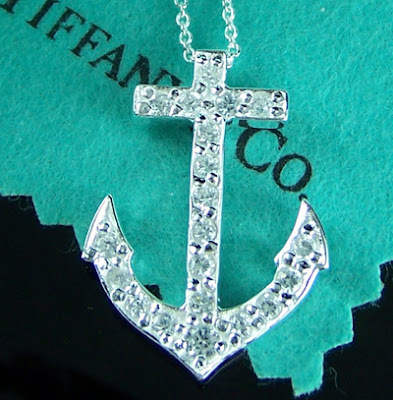 Love me some Tiffany's and anchors. I love this one from Swell Caroline. On a totally separate topic (haha. 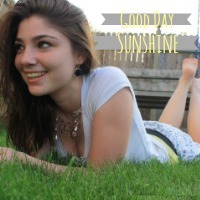 I'm hilarious), I want to introduce you to Kiersten from Good Day Sunshine! I LOVE that anchor necklace!!! Super cute! Stopping by her blog now! She sounds like a doll. PS - LOVE that ring your parents got you!! Love the monogram necklace. That's actually what I want to buy my sister for her wedding present, so I need to hop on that quick, since it's in just 3 weeks!! Ahh!! Besides my wedding rings, my favorite piece is the Yurman I got for graduation! It has never left my right hand. And I held out until we got married for the monogram necklace, now I'm obsessed! 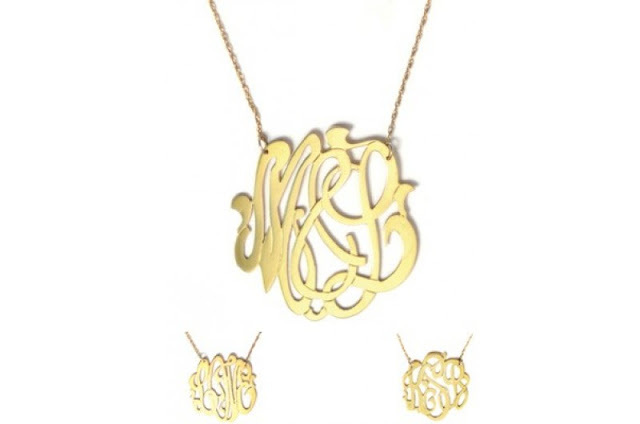 I can't wait to get my new monogram necklace! Love your ring!! I love that anchor necklace, it's gorgeous! I love your David Yurman ring.... so beautiful, and obviously special bc it's from your awesome parents!!! :) Anddd... let's splurge and get matching anchor necklaces, deal?! I love all of my David Yurman jewelry! If only it weren't so expensive! 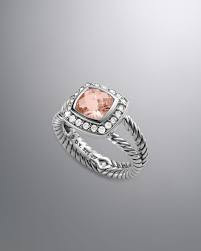 Love the David Yurman ring! So beautiful! Love the monogram necklace! I too have been holding out til marriage so I can wear mine forever. Guess since the big day is in less than 6 months maybe I can order one with my soon to be initials! My neck is crying out for a monogram necklace! I love that David Yurman ring! I want so bad!! I love my monogrammed necklace. I wear it all the time!